The Seymour Duncan Psyclone Vintage Bridge pickup is an authentic recreation of the Filter'Tron style pickup from the 50's and 60's. The original Filter'Tron pickups had a very distinctive tone that is faithfully reproduced by the Seymour Duncan Psyclone. The Psyclone pickup is built with tighter pole spacing, a low DC resistance and Alnico 5 magnets, which combine to provide a tone that is full and warm like a PAF humbucker, yet retains the sweetness and clarity of a single coil. This pickup is great for country, jazz and classic rock. The Psyclone Vintage Bridge pickup is designed to be used with the matching Psyclone Vintage Neck pickup (available separately). This bridge pickup is wound slightly hotter for balanced output and tone with more fullness. Each Psyclone pickup is hum-cancelling, and includes a shielded single conductor lead wire. These Filter'Tron style pickups were originally available only through the Seymour Duncan Custom Shop. 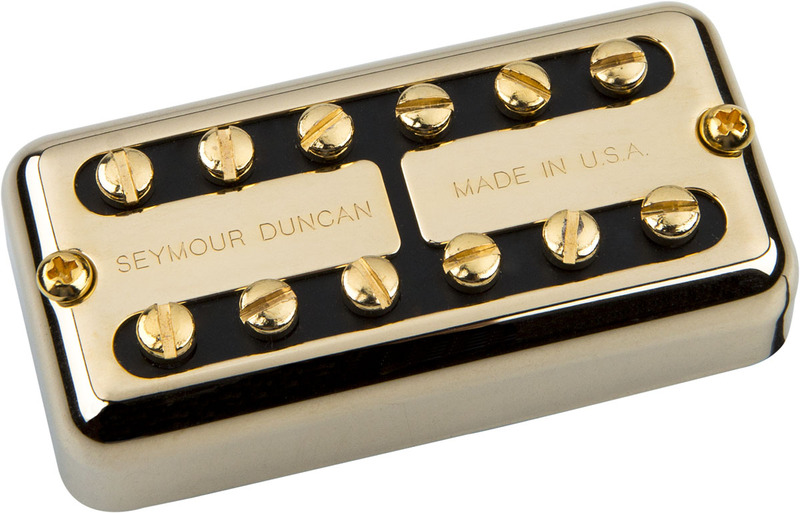 Seymour Duncan takes special care to ensure that these pickups are accurate reproductions of the original Filter'Tron models, and are designed as drop-in replacements for any guitar originally routed for Filter'Tron style pickups. Includes hardware for either direct or trim-ring mounting. Made in USA.